Why Might You Need Professional Help with a Thank You Letter for Recommendation? It is a big responsibility to ask someone to write a letter of recommendation for you and they often tip the balance when being compared to another candidate. So, in order to show your appreciation for their support, a thank you letter for recommendation should be sent as soon as possible. 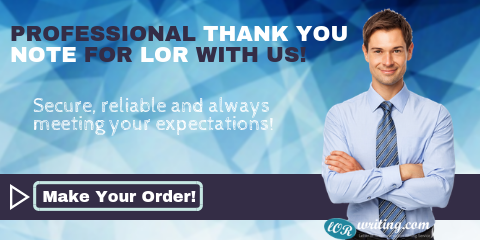 LoR writing doesn’t come naturally for many people and sending them a thank you note for writing a letter of recommendation for you shows them just how much you appreciate them taking time out of a busy schedule. Even if you were unsuccessful, you will no doubt choose to use the same people for your next application. Letting them know how valuable you regard their support will reinforce their commitment to producing a good LoR for you. It is important to write an individualized thank you note for letter of recommendation, college applications will require at least two and you want to let each writer just how grateful you are. It is important also to let them know a bit about you, especially if you are not particularly close. They may even ask you for specific details to assist with their writing. This brag sheet as it is known will then be used to guide its description of you. When you consider they may have to do this for many students, it can eat up a lot of their time and a well thought out thank you note for letter of recommendation will show them the time wasn’t wasted. Writing a good thank you letter for recommendation is one area that should not be rushed. After all, the writer has no doubt agonized for many days as to what to include in order to show off your best qualities. The least you can do is provide a thank you for letter of recommendation that comes from the heart and you truly appreciate that they give references for you. Consider a handwritten letter instead of one that is printed out. This gives a more personal appreciation. Use personalized stationery instead of plain paper. There are many cards available that specifically cater for this. Thank you for your kindness in writing a letter of recommendation to support my application to Stanford medical. I have been intrigued by medicine for many years and have selected many extracurricular activities that are consistent with that goal. Through hard work, I have achieved high grades and have volunteered at the local hospital for over a year and I believe your reference made a big impression on my application. The admissions committee will inform each applicant four months after the submission deadline so I will inform you of the results as soon as I receive them. I know it takes up a lot of your time to write a letter of recommendation and I deeply appreciate your kindness and support. I will do my very best to deserve that confidence. Writing a thank you note for a letter of recommendation is important to get right in order to clearly express gratefulness on a personal level. 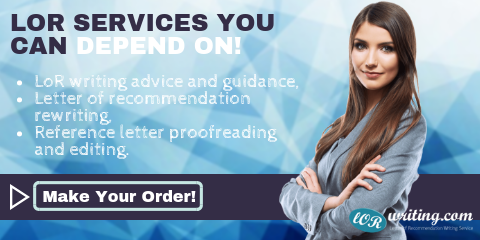 It doesn’t matter if it’s in support of a graduate school application or to bolster your professional career, letters of recommendation are extremely valuable tools and you should take the time to thank the writer properly. With our experts to help you, writing a thank you note for letter of recommendation teacher or letter of recommendation for a colleague becomes so much easier. Our experts are experienced in assisting people at all levels, both academic and professional pass on their personal thanks. They will consult closely with you and create a thank you letter for letter of recommendation that will fully show your appreciation and be tailored to the individual. For the best thank you letter for recommendation, just get in touch with our friendly team here today and see how you will benefit from the #1 service online!